Crowdignition collects non-personally identifiable information from you regarding your usage of our website ("Non-Personally Identifiable Information"). Non-Personally Identifiable Information may include, without limitation, website pages viewed, articles, presentation and videos viewed, time spent using certain features of the website, demographic data such as server locations, cookies existing on your computer, search criteria used and results, date, time, connection speed, and other information which does not specifically identify you. We collect this information using various technologies, including, but not limited to, cookies and server logs. "Cookies" are pieces of information that may be placed on your computer by a website for the purpose of facilitating and enhancing your communication and interaction with that website. "Server logs" can be either a single log file or several log files automatically created and maintained by a server of activity performed by the server, which can include information about any transaction you conduct with the server. Crowdignition also collects information from you when you sign up for an account, make an investment, verify your identity or accredited investor status, provide payment instructions or send us an email through the Crowdignition website which may enable us to identify you personally, such as your email address, name, phone number, birthday, age, Social Security number and/or taxpayer identification number, investment objectives, investment experience, assets and income, information from your transactions with us, such as your account balance and account usage, information obtained from others, such as the Internal Revenue Service and credit reporting agencies, physical address such as home or business address, or internet protocol ("IP") address, which may also be contained on server logs, or other information you provide or upload to the website such as photographs, answers to questionnaires or surveys, or responses filled in on blank forms made available on the site. ("Personally Identifiable Information" and collectively with the Non-Personally Identifiable Information, the "Data")). We may also collect and store information, which could include Non-Personally Identifiable Information or Personally Identifiable Information, locally on your computer or device using mechanisms such as browser web storage or application data caches. We use analytics programs and service providers, such as Google Analytics, which can use first party cookies to report on your interactions with the Crowdignition website. Google Analytics collects information including, but not limited to, the time of each of your visits to the Crowdignition website, whether you have visited the Crowdignition website before, what site referred you to the Crowdignition website, and what pages you viewed on the Crowdignition website. We may also have access to your Personally Identifiable Information when you log into our website through certain third party social networking services, including Facebook, LinkedIn, Twitter and Internet Chat ("Third Party Services"). 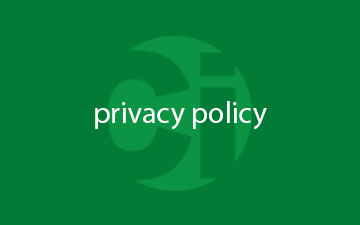 We encourage you to carefully review the privacy policies of any Third Party Services from which you access our website. Crowdignition will use information you provide consistent with this Notice. Crowdignition will use information you provide to us, including Non-Personally Identifiable Information or Personally Identifiable Information, to better serve you and enhance your experience with the Crowdignition website, among other things. This may include having to modify or copy such information, such as images or textual or narrative content you provide, in order to provide you with a seamless and enjoyable experience. Toward these ends, you consent to our use and disclosure of any information submitted to us via the Crowdignition website, or information collected when you access the Crowdignition website in any manner, and you acknowledge that you have no expectation of privacy, confidentiality or privilege in such information. Crowdignition will use Non-Personally Identifiable Information and Personally Identifiable Information (1) to market our products and services to you, (2) to provide services and products requested by you, (3) to enable our vendors and contractors to provide and assist us in the marketing, operation, troubleshooting and analysis of our website and other services, (4) to meet any regulatory requirements for the offer or sale of securities required by law, rules or regulations to our affiliates or members, (5) to engage in any other lawful activities we believe are consistent with the foregoing, and (6) to protect against legal liability. We may provide any of these services through third parties, which may necessitate sharing Personally Identifiable Information and Non-Personally Identifiable Information with them. If you provide Data for a certain reason, we may use the Data in connection with the reason for which it was provided. For instance, if you contact us by email, we will use the Data you provide to answer your question or resolve your problem. Crowdignition may also use your Data and other personally non-identifiable information collected through our website to help us improve the content and functionality of our website, to better understand our users and to improve our services. Crowdignition may use this information to communicate with you regarding our services or to tell you about services we believe will be of interest to you. If at any time you wish not to receive any future marketing communications or you wish to have your name deleted from our mailing lists, please contact us as indicated below. Note however that as user of our services we will send you administrative communications that are reasonably necessary to our services, such as billing or service notifications. Crowdignition may make your information, including Non-Personally Identifiable Information or Personally Identifiable Information, available on its website and visible to other users of or visitors to the Crowdignition website. For instance, subject to certain preferences and permissions as to visibility you will be allowed to make, information you provide about yourself in response to questionnaires on our site may be made available to others such as information concerning your status as an accredited investor. As such, other users of our website may be able to personally identify you based on your information made available on our site. As a further example, if you utilize Third Party Services to log into our website, other users to whom you may be connected to through such Third Party Service may be able to view or follow information about you on our website, including Non-Personally Identifiable Information or Personally Identifiable Information. Crowdignition employs or contracts with other third parties, companies, or individuals to perform certain functions or services on its behalf. Examples of these services from such third parties, companies, or individuals, may include ID verification, accreditation/financial/credit verification, electronic document signing, payment storing and processing, sending postal mail and e-mail, escrow services, disbursement of funds, analyzing data, providing marketing assistance, and providing customer service. As such, these third parties, companies, or individuals may have access to your information, including Non-Personally Identifiable Information or Personally Identifiable Information, as needed to perform their functions or services, and may not use it for other purposes. Crowdignition may also use and disclose Personally Identifiable Information and Non-Personally Identifiable Information: to investigate and help prevent potentially unlawful activity or activities that threaten the integrity of our website or network; to protect and defend our rights or property or the rights or property of others; as required by courts or administrative agencies; and in connection with a financing, sale, merger, or reorganization of Crowdignition's business or assets. Any successor in interest to our business would acquire the information we maintain, including Personally Identifiable Information, and may alter the terms of this Privacy Notice. Crowdignition may disclose your Data if required to do so by law or in the good faith belief that such action is necessary to (i) comply with a legal obligation, (ii) protect and defend the rights or property of Crowdignition, (iii) act in urgent circumstances to protect the personal safety of users of the website or the public against fraud or other harm, or (iv) protect against legal liability. Crowdignition does not and will not sell any of your information, including Non-Personally Identifiable Information or Personally Identifiable Information, to any third party for purposes of advertising, soliciting, or telemarketing. The Crowdignition website contains links to other websites and services not maintained by Crowdignition. In addition, other websites and services may also reference or link to the Crowdignition website. We encourage you to be aware when you enter or leave our website, or surf the Internet, and to read the privacy statements of each website and service that you visit. We do not endorse, screen, or approve, and are not responsible for the privacy practices or the content of, other websites or services. Our website offers a publicly accessible blog. You should be aware that any information you provide in these areas may be read, collected, and used by others who access them. To request removal of your personal information from our blog, contact us at [email protected] In some cases, we may not be able to remove your personal information, in which case we will let you know if we are unable to do so and why. You can log in to our site using sign-in services such as Facebook, Twitter or LinkedIn. These services will authenticate your identity and provide you the option to share certain personal information with us such as your name and email address to pre-populate our sign up form. Services like Facebook give you the option to post information about your activities on this Web site to your profile page to share with others within your network. We may at times send you e-mail communications with marketing or promotional materials. If you prefer not to receive such marketing or promotional e-mails from us, you may unsubscribe completely by emailing us at: [email protected] Please note that opt-out requests may take up to one (1) week to process. Please also note that at times we may need to send you e-mail communications that are transactional in nature such as service or termination announcements or payment confirmations which are communications you will not be able to opt-out of. Through your account settings you will be able to set certain preferences and permissions regarding the visibility of your information, including Non-Personally Identifiable Information or Personally Identifiable Information, to others. You may stop or restrict the placement of Crowdignition's cookies, Google's cookies and third party cookies on your computer by adjusting your web browser preferences or a "Do Not Track" setting in your web browser. If you do so, you may still use our website, but this may interfere with some of its functionality. You may also clear cookies from your computer via your web browser settings. You may also wish to use a Google Analytics opt-out web browser add-on. Information on this option is available at: http://support.google.com/analytics/bin/answer.py?hl=en&answer=2700409. We are not responsible for removing your Personally Identifiable Information from the lists of any third party who has previously been provided your information in accordance with this notice. We use reasonable efforts to secure access to Personally Identifiable Information in our possession, including bank-level encryption, support instant identification and account verifications, and partner with Symantec and McAfee monitoring to ensure that you have a safe experience on Crowdignition, but will not be liable for any failure to safeguard such information, whether inadvertent or otherwise. Personally Identifiable Information is also stored with third parties who have informed us that they also use reasonable efforts to secure access to Personally Identifiable Information, but we will not be liable for the failure of any third party to safeguard Personally Identifiable Information, whether inadvertent or otherwise. We utilize third party service providers who may store on their servers social security numbers, addresses, financial information, electronic signatures, and payment information. For your security, we only display the last four digits of your bank account information when confirming an investment. We reserve the right, in our sole discretion, to change, modify, add, or remove portions of this notice at any time. Any changes or updates will be effective immediately upon posting to the web site and sending a notification to all registered users via email regarding such update. You should review this notice regularly for changes, and can determine if changes have been made by checking the Effective Date below. Your continued use of our website following the posting of any changes to this notice means you accept such changes. The Crowdignition website is maintained in the United States of America. By accessing the Crowdignition website, you consent to and authorize the export of Personally Identifiable Information to the United States of America and its storage and use as specified in this Privacy Notice. This Privacy Notice shall be governed by, construed and entered in accordance with the laws of the State of New York applicable to contracts deemed to be made within such state, without regard to choice of law or conflict of law provisions thereof. All disputes with respect to this Privacy Notice shall be brought and heard either in the New York State Courts located in the county of New York, New York, or the federal district court for the Southern District of New York. You consent to the in personam jurisdiction and venue of such courts. YOU HEREBY WAIVE YOUR RIGHT TO A TRIAL BY JURY WITH RESPECT TO ANY CLAIM, ACTION OR PROCEEDING, DIRECTLY OR INDIRECTLY, ARISING OUT OF, OR RELATING TO, THIS AGREEMENT TO THE FULLEST EXTENT PERMITTED BY LAW. This Privacy Notice was last updated on January 16th, 2017.